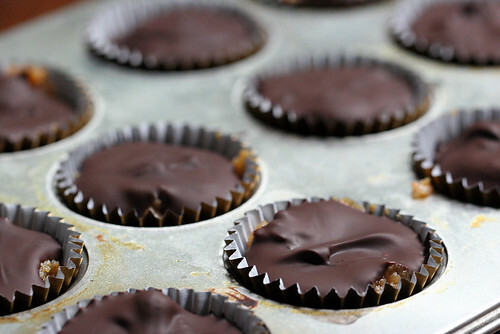 Seduced by a macro shot from this blog post, and having all the ingredients already on hand, I decided to give these dark chocolate-covered peanut butter cups a try. My peanut butter ended up looking a little sweatier than Michael's and not quite so glamorous, but at least they still taste like chocolate and peanut butter, a combination you can't really go wrong with. Recipe here.